2007 Maintenance and Lubrication Manual. Air Conditioning System Service Manual. 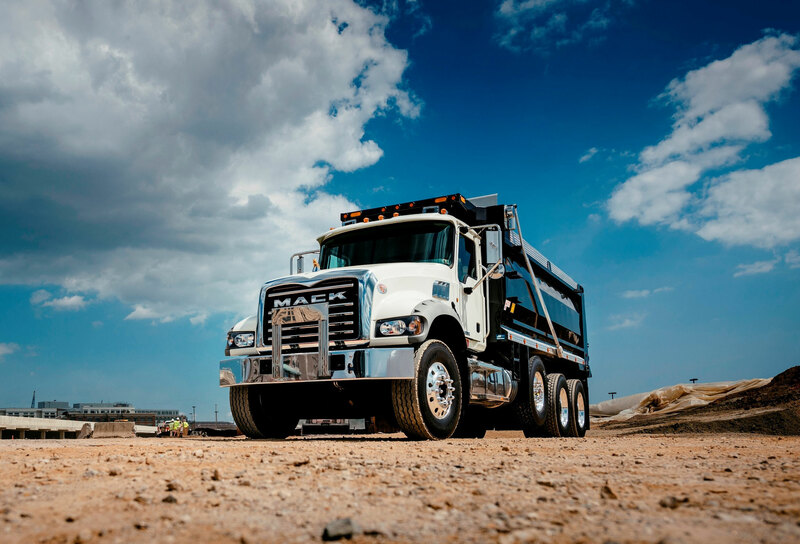 Mack Trucks is an American automotive company, one of the leaders in the production of heavy trucks, a former manufacturer of buses and trolleybuses. Headquartered in Greensboro, Guildford, North Carolina. The main production facilities in the US in Boro Makanji, Lihay District - plant area of 93 thousand square meters, the number of workers about one thousand. Truck assembly plants are located in Maryland, Australia and Venezuela. Gearboxes and power take-offs, transfer boxes, which are designed for other assembly operations, are manufactured in the city of Hagerstown Maryland. Since 2000, the company became part of the Volvo (PDF manuals) Group. The company was founded in 1900 under the name Mack Brothers Company, however it did not start from scratch. The founders of the company were the brothers Mack. John, who worked at the Fallesen & Berry factory for the manufacture of carriages and vans in Brooklyn, seeing the success of the company in 1893 persuaded his brother August to buy the company. A year later they were joined by his brother William, who previously ran a wagon company in Pennsylvania. The brothers continued the production of wagons, while doing experiments with steam engines and electric motors. In 1900, inspired by the inventions of the brothers Wright, Willis Carrier and Henry Ford, the brothers decided to create heavy trucks and heavy-duty engines. In 1900 the company fulfilled the first order for the production of 20 local buses with a 40 hp engine. For the tour company Harris and McGuire, the first Mack appeared. Subsequently, the bus production continued until the 1960s, over 22,000 buses were manufactured. For many years the company used the slogan: The first Mack was a bus and the first bus was a Mack. In 1902, the company Mack Brothers Company was established in New York. Since 1904 the company's products have been named Manhattan. In 1905, the brothers decided to move the company and all its production to Allentown. Then the fourth brother Gus joins them as a shareholder. In 1905, Mack Brothers Motor Car Company began to produce five-tonne Manhattan truckless trucks, which had a driver's cab above the engine. The base for them was the platform from the first Mack bus, which began to be called Old No 1. In 1910, the name of the trucks produced was changed to Mack. At the same time, the fifth brother, Charles, joins the company. Despite the success of the company, truck production was a piece. There was a lack of serial assembly. John Mack was the inventor. And one of his inventions was a device that made it possible to switch gears from low to high and in the opposite direction bypassing intermediate gears. Gus Mack also invented the device associated with the gearbox. Other automakers were interested in installing similar devices on their cars and so willingly acquired licenses, which gave the company additional revenue. From 1905 to 1930, the company built locomotives and diesel locomotives with a gasoline engine for railways. A total of 40 pieces were produced. In 1910, the company's trucks began to be called Mack. The company released the first fire truck for the city of Morristown. In 1911, the company Saurer Motor Truck Company produced at its plant in Plainfield and sold trucks under the brand Saurer (German) Russian. Merged with Mack Brothers Motor Car Company under the leadership of John Mack. A company called International Motor Truck Company sold trucks under the Saurer brand until 1918. In 1912, the brothers John and Joseph Mack left the company. The first commercial model of Mack trucks was the light commercial truck Mack Model AB with a carrying capacity of 1-2 tons, produced in 1914. This was the development of engineer Edward Hewitt, whose company Hewiit Motor Company was located in Brooklyn and was part of the Mack Brothers holding in 1912. 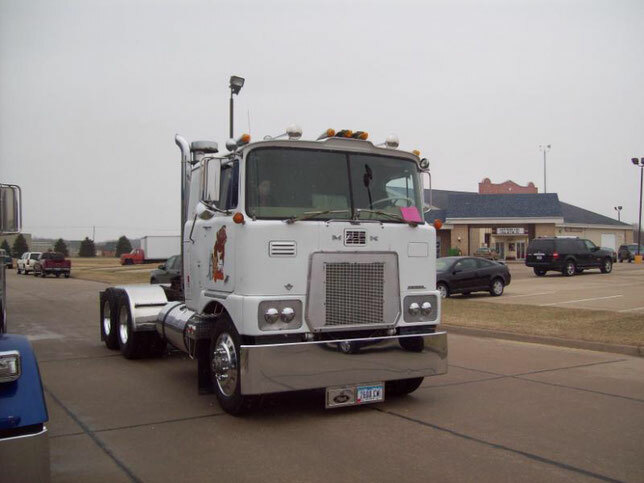 The truck Mack AB was equipped with a four-cylinder 30-horsepower engine with a three-speed transmission. The drive to the rear wheels was carried out by means of a chain drive and a worm pair, later a modification with a gimbal transmission appeared. Due to its simplicity and reliability Mack model AB with changes and modifications stayed on the conveyor until 1936. More than 55 thousand of them were produced. In 1916 appeared the model of the truck AC. It had a four-cylinder petrol engine and a chain drive rear axle. AC earned a reputation for reliability and durability. The model was produced continuously, for 24 years, 40 299 cars were built. It was thanks to this model of the truck that the nickname "bulldog" appeared which later was transformed into the company logo. Mack built military armored cars on the AB chassis for the New York National Guard. During the First World War, Mack delivered about 4,500 trucks of the AC model with a carrying capacity of 3.5, 5.5 and 7.5 tons to the US government. Over the same period, more than 2,000 units were delivered to the UK. British soldiers, when faced with a difficult task for trucks, exclaimed "Aye, send in the Mack Bulldogs!" (Literally "Let's send the Bulldogs Mack"). British engineers after testing the trucks said that "Mack has the persistence of a bulldog." At the time, the symbol of Great Britain was a bulldog and this was a high estimate for American cars. By the end of the First World War, the name of the company was changed to Mack-International Motor Truck Corporation. In 1918 the company was the first to apply air and oil filters on its trucks. In 1920, Mack became a pioneer in the use of brake amplifiers, and then rubber cushions between the chassis and the frame of the car. In 1919, the US Army carried out a transcontinental run, in which trucks from Mack Trucks participated. In 1921 the company decided to use the image of a bulldog (tearing a book) as a corporate symbol, an image on a sheet of metal was fixed on the doors of the cabin. In 1922, the company changed its name to Mack Trucks, Inc. .. In 1924, John Mack was killed in a car accident in Wetherly. 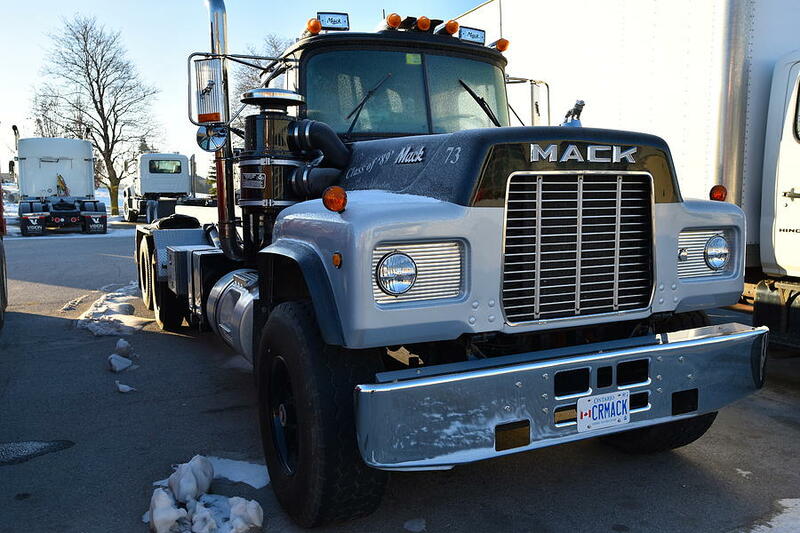 Since 1927 Mack has been manufacturing several new models of cars. In order to meet the increasing demand for transport, trucks have more power, greater speed. The first brands were BJ and BB, followed by others. Trucks had different engine power, different load capacities, different cab variants. Before 1941, more than 15,000 trucks were built. From 1929 to 1944, Mack manufactures automobile trailers and semi-trailers, a total of 2601 units were produced. In early 1932, the chief engineer of the plant, Alfred Fellows Masury, lays down for surgery in the hospital. In his free time from medical procedures, he cuts out from the handy material a bulldog figure. Such bulldogs, modeled after the first one, soon become a decoration for the hood of all Mack Truck vehicles . In 1931-1936 he built a Hoover Dam and, of course, used trucks from Mack Trucks on construction. In 1936, the company changed its name to Mack Manufacturing Corporation. In 1936, medium-tonnage trucks of the E-series began to be manufactured. Their release lasted until 1951, and more than 78,000 of them were produced. 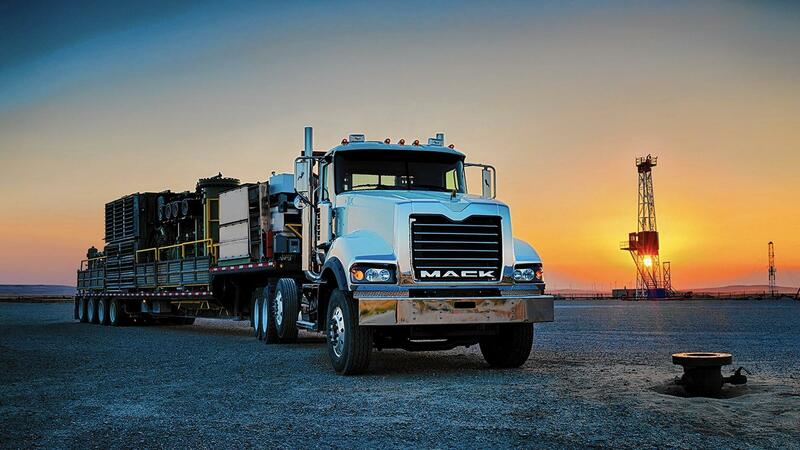 Since 1938, Mack was the first of the truck manufacturers to build their diesel engines. In 1936-1938 REO Motor Car Company, at its plant in Lansing, Michigan, produces a batch of trucks under the brand Mack Jr .. 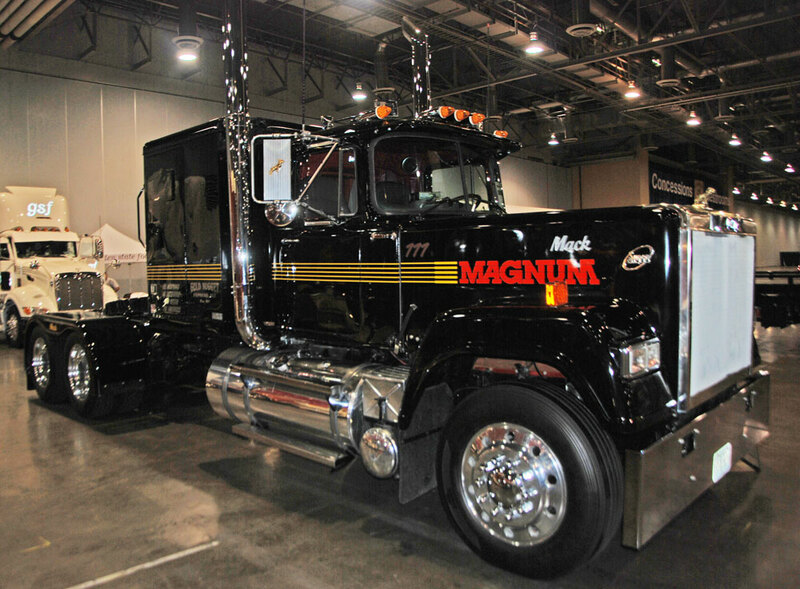 They were built according to the terms of reference of Mack Manufacturing Corporation and implemented through Mack. A total of 4,974 cars were produced. In 1936, Mack began manufacturing off-road quarry dump trucks. The first model was Mack AP, from 1926 to 1938 was built 285 units. 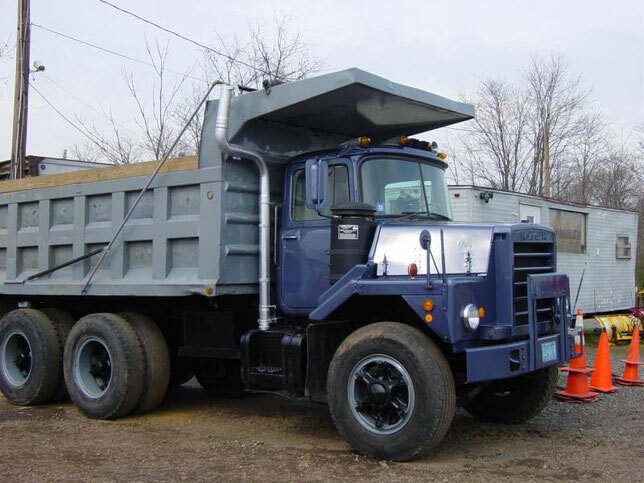 From 1943 to 1964, 1275 dump trucks of the LR series were built. Then the LV model was produced. During the Second World War, Mack builds trucks for the needs of the army, becoming a major military contractor. From 1940 to 1953, Mack Manufacturing Corporation builds small marine diesel engines. A total of 16 units were built. Since 1950, the production of heavy lorries of the L series begins. Their stylish and modern design appealed to many, the model became popular. Some of the trucks were built with more powerful engines to meet the demand of the West Coast freight carriers. In the 1950s, the company began to build trucks series G, H and B. 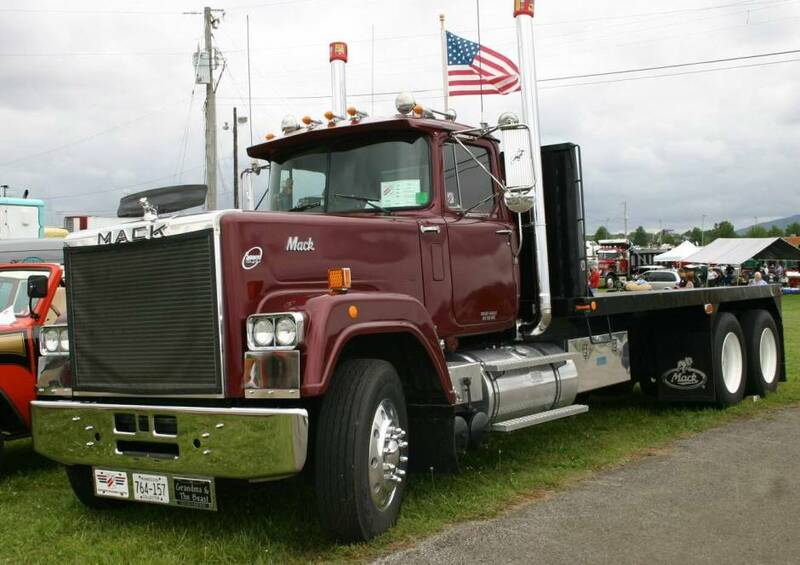 Series B, which was launched in 1953, is by far one of the most successful products of Mack Trucks. Some of the tracks of this model remain in service to this day. 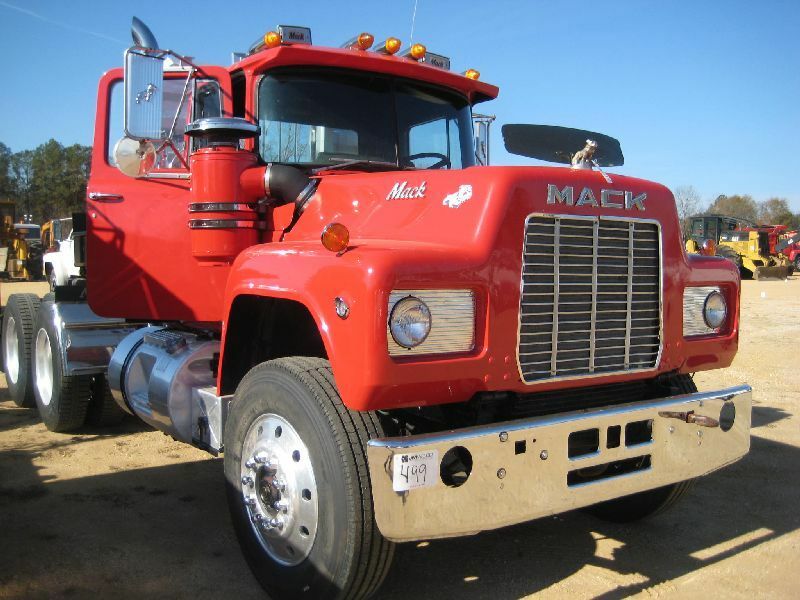 In 1956, Mack bought Brockway Motor Company, its production facilities were used until 1977. In the 1960s, several truck models were launched: F, R, U and DM. The first in 1962 was produced F.
In 1967, Mack Trucks patented the pneumatic suspension of the cockpit. In 1970, the company's head office was opened in Allentown. Since 1977, the model of the truck for long-distance transport of Super-Liner is being built. This model of a truck tractor is being built up to 1993. Since 1978, cars have been built for urban use - the MC / MR model. In 1979, Renault acquired a 10% stake in the company. In 1982, the share of Renault increases to 20%, and in 1983 to 40%. 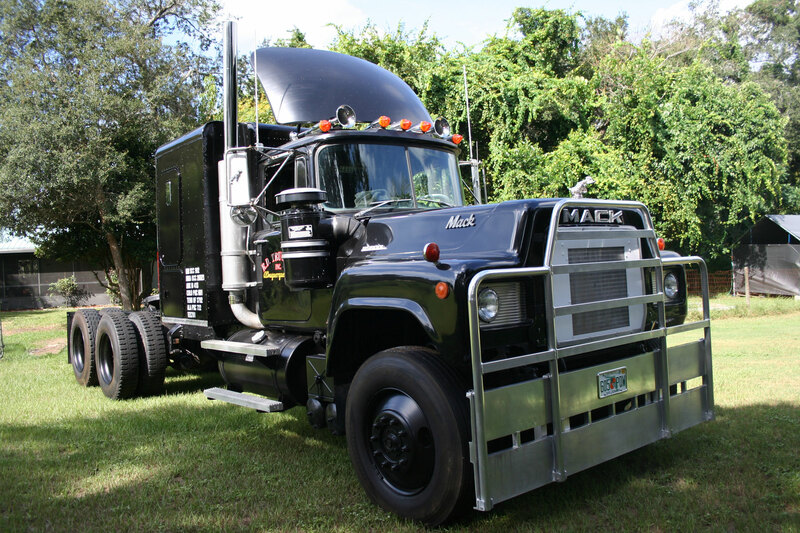 In 1982, the market goes to the model Mack MH Ultra-Liner cabin which is made of fiberglass. In 1990, the company Mack Trucks completely passes under the control of Renault. 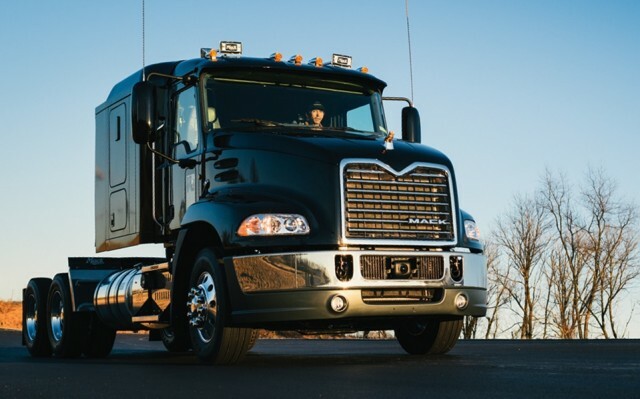 In 2000, Mack Trucks was acquired by Volvo.